Charles has over 25 years of direct circulation management experience gained from working at companies such as Ziff Davis Media, Dennis Publishing, and Alpha Media Group. Having held various positions in most areas of subscription marketing, Dawn has over 15 years of experience in the circulation industry. She has previously worked with companies such as Alpha Media Group, Dennis Publishing, American Express Publishing, and Time Inc.
A 15 year veteran - in addition to circulation level management, finance and production, Matthew brings with him an abundance of experience, knowledge and contact on the Newsstand side of the business, having held several different positions at Alpha Media Group, Dennis Publishing, and Comag. Tracy has held several direct marketing positions including Consumer Marketing Director in her 11 year tenure at Ziff Davis Media. She has over 15 years of experience, having also served as Consumer Marketing Director at Hearst Corporation. Natalie has over 10 years of experience across all areas of consumer marketing and has held several positions at Alpha Media Group and Dennis Publishing. 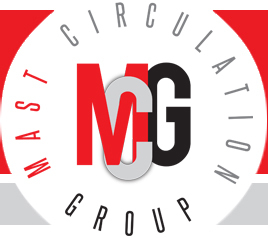 Brandon has been with Mast Circulation Group since 2013, and provides assistance and support for the entire MCG team. Scott has been with Mast Circulation Group since June 2015. Scott recently graduated from the University of Florida in May 2015 and provides marketing analysis and support for the entire MCG team. Ellen has been in the industry for over 20 years and assists the MCG team with accounting functions.